649 Cambie Street, Vancouver, British Columbia. Sorry, but Goh Ballet: The Nutcracker is either no longer playing at Queen Elizabeth Theatre - Vancouver, 649 Cambie Street, Vancouver, British Columbia or tickets have already sold out. One of the better known ballet company, Goh Ballet, is happy to announce an amazing holiday must-see The Nutcracker. 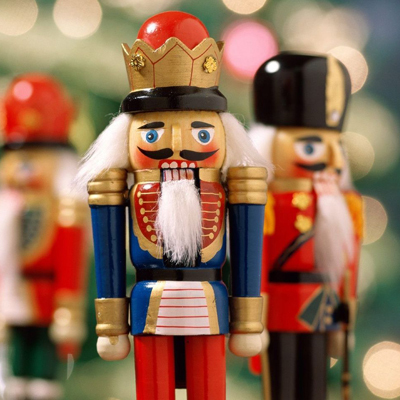 Arguably the most famous Christmas story of all time, The Nutcracker, features luxuriant costumes, outstanding sets, passionate dancing and dramatic action scenes. Using Tchaikovsky music, the story has been turned into a spectacular dance. It celebrates all the wonder of the season with the talented and creative crew, onstage and backstage. Full of mystic and wonder, The Nutcracker plot takes place in Germany on Christmas Eve. Two children named Clara and Fritz Stahlbaum are enjoying their family party. Their godfather, a toymaker named Herr Drosselmeyer, gives the children gifts, and Clara loves her life-sized nutcracker doll. That night, the girl falls asleep under the Christmas tree and dreams of The Mouse King and the Sugar Plum Fairy. After he turns into a prince, her toy brings her to an enchanted forest and the Land of Sweets, and they meet fairies and dancing snowflakes. Enjoy the magic with a heart-warming story - The Nutcracker, this incredible family favourite, that really does have something for everyone.